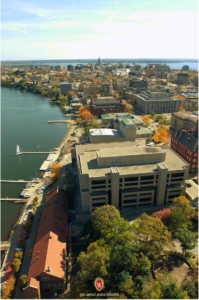 The UW-Madison writing center, like all centers, is built on collaboration. As tutors, we collaborate during individual consultations to help writers brainstorm ideas and revise drafts. We also collaborate with faculty, instructional staff, and teaching assistants across campus through our outreach program to co-teach lessons on writing and lead writing workshops on various genres, and through our WAC program to help instructors integrate writing into discipline-specific classes and incorporate undergraduate Writing Fellows from our staff into their courses . 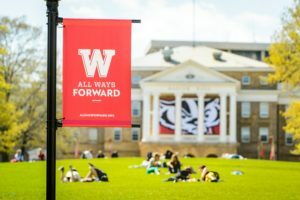 Beyond UW’s campus, we work with Madison community members and provide sustained support for writing projects through our Madison Writing Assistance (MWA) program. 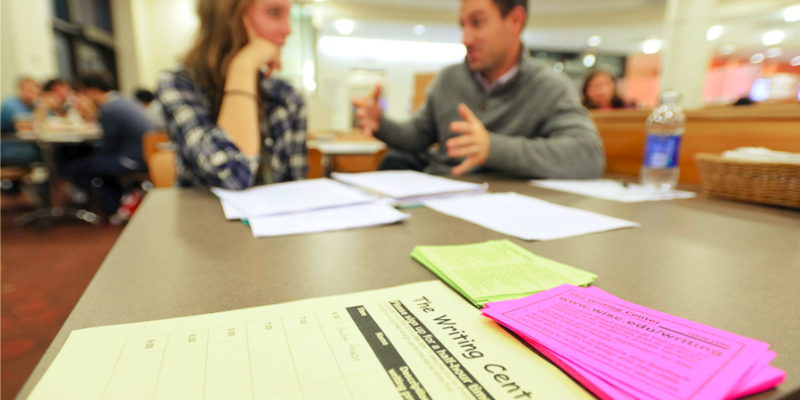 And Brad Hughes, our center director, has fostered strong partnerships with Madison-area high school teachers, through our Madison Area Writing Centers colloquium and through a partnership with the Greater Madison Writing Project. We also share materials and collaborate through our online writing center. Mike Haen is an instructor at the UW-Madison Writing Center and a PhD candidate in Composition and Rhetoric. He currently works as the Assistant Director for the Writing Across the Curriculum (WAC) program. 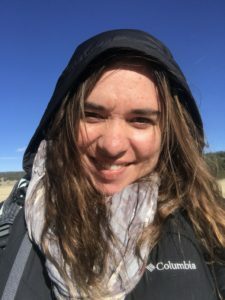 Brenna Swift is one of the graduate student coordinators of the UW-Madison Writing Center and a Ph.D. student in Composition and Rhetoric. In addition to working in the Writing Center this year, she teaches composition classes that focus on writing and social justice. All this collaborative work is grounded in reciprocity, with each party articulating their goals, needs, and expectations to learn with and from one another. In this post, we highlight a new collaboration our center formed with a Wisconsin high school earlier this fall 2018. We hope this post can offer helpful insights and practical resources for collaborations between university/college writing centers and secondary and primary schools. We also hope this post can be a space for university writing center practitioners to share their approaches for successful collaboration with schools in their area. On October 15, 2018, we welcomed about twenty Johnson Creek High School seniors to our main center at Helen C. White. With the help of director Brad Hughes and science writing specialist Nancy Linh Karls, we collaborated with Johnson Creek English teacher Kyle Collins to organize a three-hour orientation to writing center work for juniors and seniors in his Advanced Placement English course. Prior to visiting, Kyle (with the support of his colleagues at Johnson Creek HS) had begun planning the launch of a new writing center staffed by his AP English students. He anticipated that his tutors would work primarily with middle schoolers, who study on the same campus. The AP class had already launched what Kyle called a writing center “mini-pilot,” during which some high schoolers helped middle schoolers work on a writing project. His students loved taking on the role of an “expert” or mentor in their time with middle schoolers. The Johnson Creek schools have adopted an approach to teaching that values personalized, student-directed learning. Within this context, writing center work seemed like a natural way to foster collaboration, student engagement, and investment in the writing process. A 2017 Peer Review article by a group of nine former middle school tutors supports the idea that writing center work can powerfully impact a student’s middle or high school experience—improving writing skills, boosting confidence, and even influencing career plans. 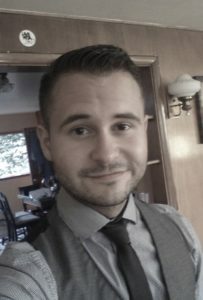 Having worked at the writing center at UW-Eau Claire as an undergraduate, Kyle expressed excitement about how starting a writing center would benefit both his students and their tutees. As the day for our workshop drew nearer, all of us looked forward to sharing the challenges and joys of our own work in writing centers. Because we wanted to prioritize students’ concerns and what mattered to them, as shown below in our agenda, we started the day with a few reflection and free-write questions. We also asked them to bring a draft of some piece of writing that they were invested in, so they could improve that draft while practicing some of the tutoring methods they were exposed to with their peers throughout the orientation. After students introduced themselves and their reflective writing, we asked them to watch a sort clip of a tutoring session at our center and observe what was happening in that clip (#2 in the agenda below). The clip showed the instructor setting the agenda with the writer and prioritizing global concerns (e.g., thesis; organization) for a religious studies paper. After a short discussion of the clip and the tutor’s focus on big picture concerns, we moved to a discussion of global and local concerns, which we was inspired by Brad Hughes’ useful resource found at our Writing Across the Curriculum website. What is one thing about writing center tutoring that you’re curious about or hoping to learn more about? What is one thing you’re worried or anxious about? What is the writer doing well in this draft? What are some strengths? What are 2-3 big picture (global) things the writer needs to work on in the draft? What advice would you give to this writer and why? How would you help the writer revise their draft? After another break, we continued watching another segment from the earlier video, in which the tutor advises the writer to move the thesis to earlier in the paper and helps her generate some analysis of a quotation she picked out from a source. We asked students to consider the questions below as they watched (#7). We discussed their responses to the video and then transitioned to a practice tutoring activity for students to put their learning into action, and we closed with a panel of three experienced undergraduate writing fellows, who answered high school students’ questions about college writing and college life more broadly. What kind of relationship does the tutor establish with the writer in this video? How is it similar to or different from what teachers do in an English class? What global issues (e.g., ideas, argument, evidence, organization) did the tutor prioritize or identify as important in the writer’s draft? How did the tutor motivate the writer to continue working on her draft, by for example, praising certain parts of the draft or the writer’s work? How did the tutor show interest in, and appreciation for, the writer’s work? What did the writer do to actively participate in the tutoring session? Was she taking the lead during parts of the session? What questions do you have after watching? What global concerns were addressed? What local concerns were addressed? What plans do you have for revision of your draft? Throughout the workshop, the Johnson Creek students were eager to share their hopes and questions about writing center work. Their questions followed longstanding themes in tutor training texts, focusing on issues of directiveness and non-directiveness, student engagement, and the relationship between the tutor and the student’s text. We observed that the high schoolers initially envisioned the role of a writing center tutor as that of a teacher, with great responsibility for their tutees’ performance and grades. As the orientation went on and the students engaged in collaborative activities, they were attuned to the complexity of their role as writing tutors. They were especially curious about how they could help reluctant writers or more experienced peers who had drafts that were already strong. Based on our own experiences as instructors, we described a number of approaches and things to consider. But we told them we certainly did not have all the answers and they would not need to have all of them either, as writing center work can bring unforeseen challenges and requires continuous reflection on tutoring practices. By the end of the orientation, we sensed that the students’ vision of writing center work had shifted to incorporate responding as engaged readers, who help writers find ways to improve and refine their ideas and the presentation of those ideas. Our conversations during the orientation have prompted us to consider how collaborations between secondary-level writing centers and university writing centers might influence the work being done at both institutions. This consideration is in line with the emphasis on “mutuality” advocated by Jaquelyn Davis and Tereza Joy Kramer in their reflection on service learning projects in writing centers. How might co-developing events with high school instructors lead to stronger connections between what is taught in high school and college? Can such collaborations help generate a shared understanding of writing and its power in the world, drawing from the insights of instructors and learners from many types of schools? How can university writing center instructors learn from high school students and their teachers? Informed in part by the literature on high school and college writing center partnerships (e.g., Blumner and Childers), we hope to continue investigating these exciting big-picture questions and exploring the potential for connections across writing centers at all levels. We also hope that offering this look at our new collaboration with Johnson Creek High School will spark new ideas about collaborations at your own centers. We’d love to hear how you’ve worked with high schools who are working to establish a writing center. What have you done? What do you want to do? What’s been successful and why? 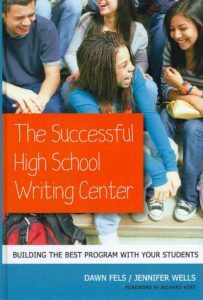 Finally, for more great resources on this topic, check out Richard Kent’s website on starting student-staffed writing centers at elementary, middle, and high school levels, as well as this wonderful book on high school writing centers and a previous post on Another Word. This article from the Northern Virginia Writing Project describes the launch of the Wildcat Writing Center at Centreville High School, one of the inspirations for the new writing center at Johnson Creek High School. We believe that writing center work offers the chance for students of all ages to listen and be listened to, to share ideas, and to see the power of both writing and collaboration. There are well-documented benefits of working as a writing tutor, so I love that these Johnson Creek High School students (and hopefully many others) can start accessing those benefits as high school students. It will also make them strong candidates to work at a university writing center, if that is of interest to them. Congratulations to their teacher, Kyle Collins, for organizing this and making this happen for his students and his school.